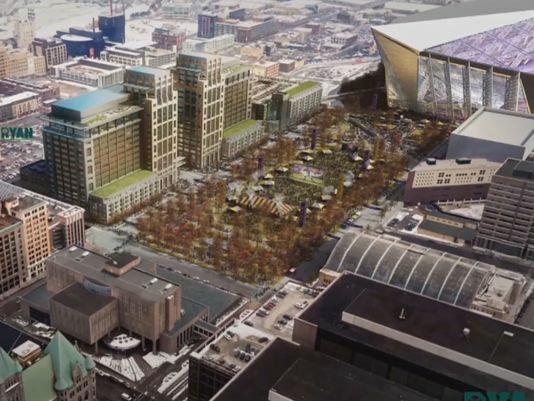 MINNEAPOLIS – Opponents of the Ryan Companies’ Downtown East development project in Minneapolis claimed a partial victory Friday in court. A Hennepin County judge agreed that the City of Minneapolis can’t develop a park on its own, because only the Parks Board has that authority. The project, which will be anchored by a Wells Fargo headquarters building and a large urban park, won’t be derailed by the judge’s order. Developers and the City Council now have work with the Park Board on acquiring the land, which could delay the project. Click on this link to view the story. The video is preceded by a brief commercial. This entry was posted in Downtown East Park on December 27, 2013 by citoyen1789.